New Market Heights-A-Palooza: It Begins! Well hello there, sorry for falling off the face of the planet (again)! I do have a decent excuse, though – over the past three months I’ve been putting the finishing touches on my second book. Now that I’ve got those preliminaries out of the way, a quick look at the calendar will tell you that this Monday is the 150th anniversary of the Battle of New Market Heights. As you may have heard, Henrico County is holding a re-enactment of New Market Heights and other actions that took place north of the James this weekend! I’ll be there tomorrow and Sunday selling and signing books, and the county was even kind enough to give me a whopping 30 minutes to speak about the battle tomorrow afternoon at 2:15 p.m.
Then, once the weekend is over, I’ll be helping lead real-time tours of the core battlefield on Monday morning September 29th. 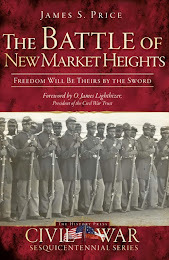 These 2-hour tours will begin at 6:00 a.m. and 10:45 a.m.
Needless to say, I’m ecstatic that New Market Heights is receiving this amount of attention and I’m cautiously optimistic that these events will help raise attention about the heroes on both sides who fought there and maybe even generate some public outcry about the current plans to turn the battlefield into a community college. 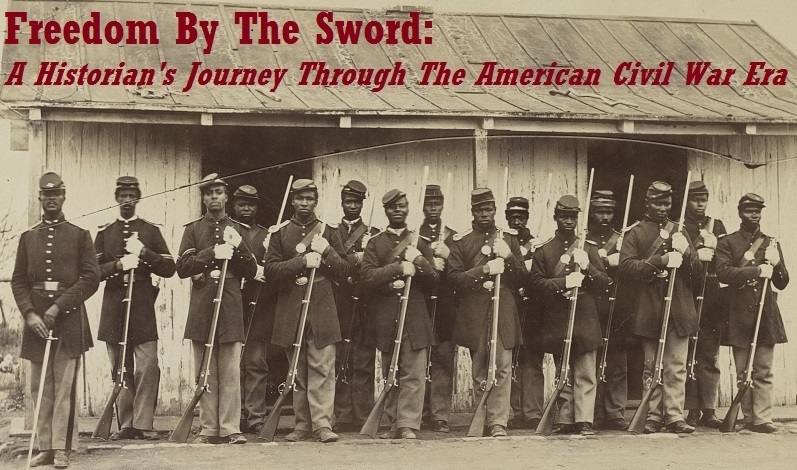 I hope you’ll take the time to come on out to a unique Civil War battle re-enactment and a very rare opportunity to walk on the hallowed ground where 14 African American Union soldiers won the Medal of Honor.